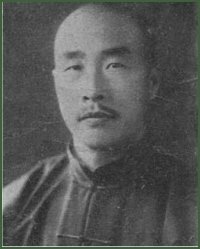 On this date in 1938, Chinese warlord Han Fuqu (or Fuju, or Fu-chu) was executed by the Koumintang for cravenly surrendering Shandong Province to the Japanese without a fight. Han cut his teeth during China’s Warlord Era, and though he made a timely adherence to Chiang Kai-shek‘s central government that gave him rule over Shandong, he was never exactly in love with the KMT. He ran his fief like a dictator and got rich. When Japan and China went to war in 1937, it wasn’t a gung-ho nationalist heart throbbing beneath his decorated breast. Commanded by this still-alien central government to defend Shandong and its capital Jinan at all costs, the former warlord instead bargained secretly with the Japanese for a way to keep his prerogatives. Why, after all, should he throw away his own position against an overwhelming foe merely for the better advantage of the distant Chiang Kai-shek? When Han couldn’t pull off a deal and the Japanese set about simply taking his province by force, Han withdrew without firing a shot — forcing other KMT units in Shandong to likewise fall back. To top it off, Han himself then ditched the army he’d taken a-retreatin’. Chiang, no dummy, could see an example waiting to be made. A couple weeks after arresting Han, Chiang’s trusted aide Hu Zongnan shot him in the back of the head in what is now Wuhan for flouting superior orders.